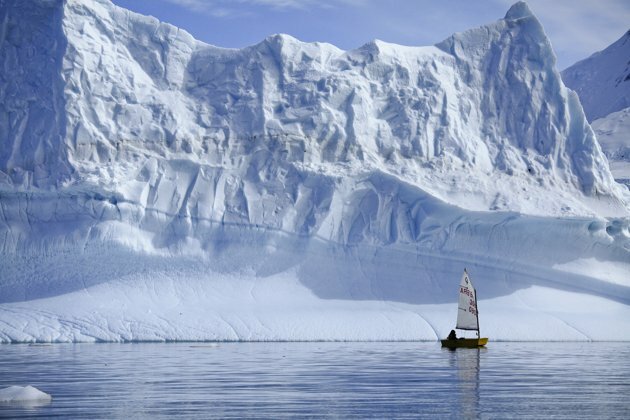 This movie was shot during our 20 days trip to Antarctica in December 2014 to January 2015. 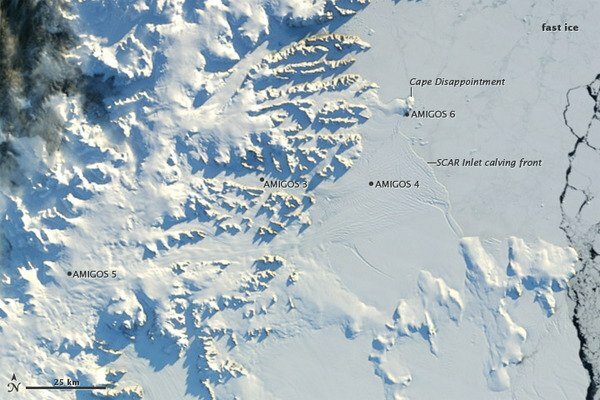 We decide to start from Ushuaia in Argentina and then go on towards to Port Williams in Chile, rounded Cape Horn and crossed the Drake Passage towards the Melchior Islands in Antarctica. 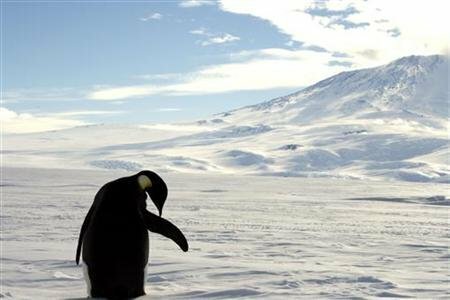 However, we’ve spent sixteen days in the Antarctic and got to experience the most astonishing scenery and wildlife before we returned back to Ushuaia. The Filmed with GoPro HERO3+ Black Edition and DJI Phantom 2, edited with Final Cut Pro X. Music from Music Bed with rights. 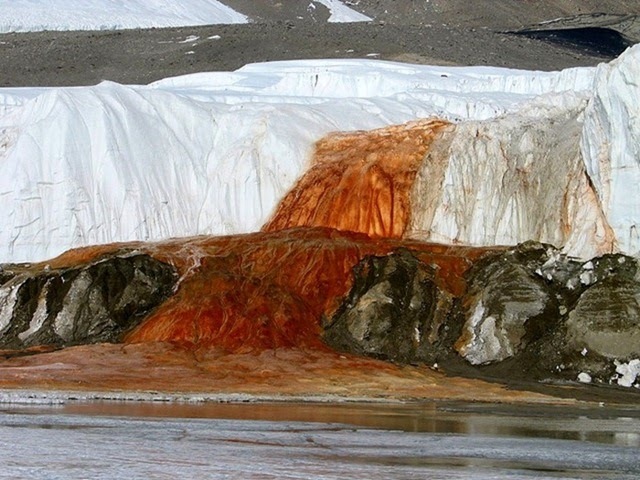 Blood Falls is a natural (Cannot called supernatural) phenomenon, which is a liquid outflow at the snout of Taylor Glacier in East Antarctica. 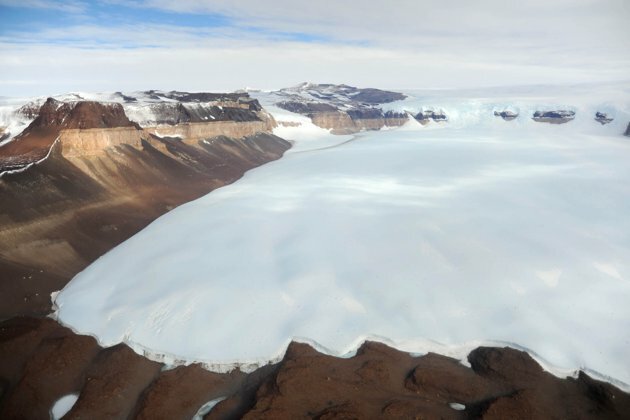 Numerous glaciers have icy outflows, but few of them are salty, and even fewer are red. Blood Falls is a typical continental glacier, descending from a plateau on the Antarctic Ice Sheet about 54 kilometers away. The Australian explorer & geologists first discover frozen blood falls in 1911, which is now as “Blood Falls” and initially they believed red color from algae. 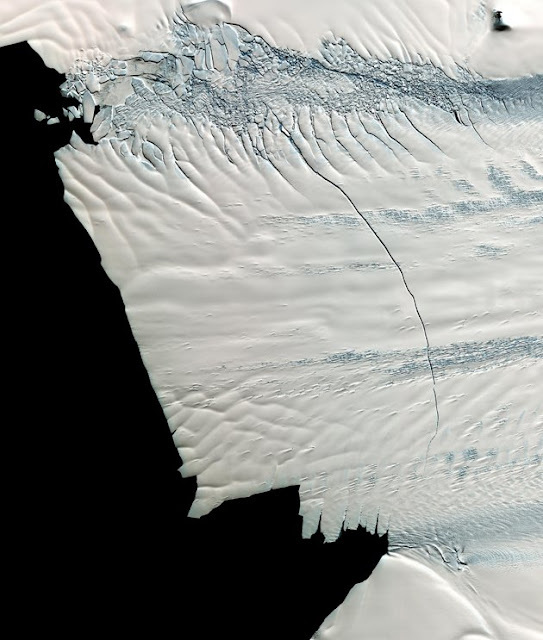 But the five story blood red waterfalls pour very slowly out of the Taylor Glacier in Antarctica McMurdo Dry Valleys. With the passage of time its true natural beauty turned out to be more incredible. 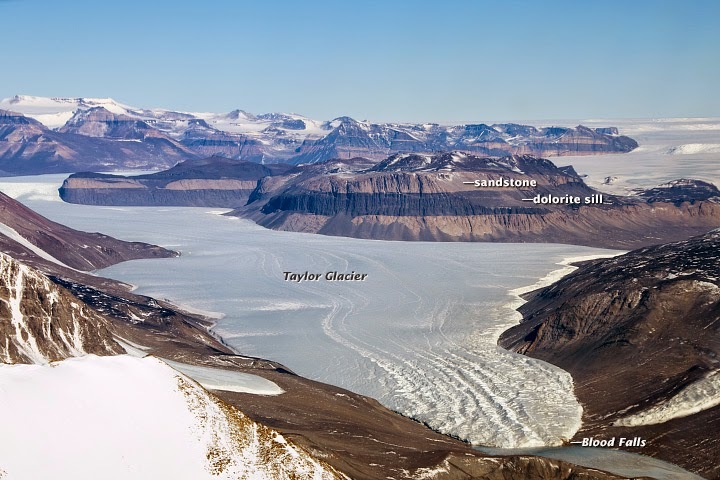 It is thought that approximately 2 million years ago, the Taylor Glacier sealed underneath it a small body of water which contained an ancient community of microbes. 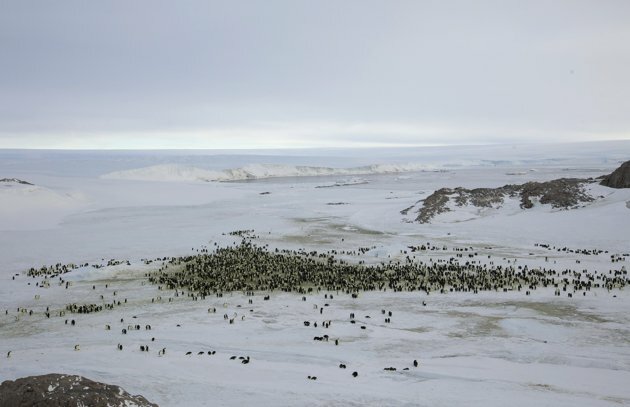 Trapped below a thick layer of ice, they’ve remained there ever since, isolated inside a natural time capsule. 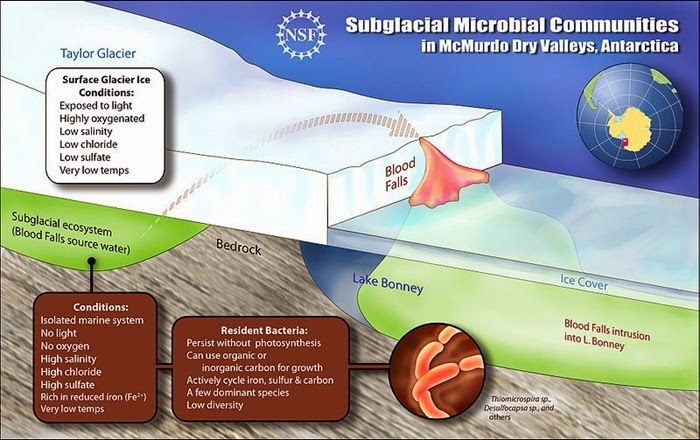 Evolving independently of the rest of the living world, these microbes exist in a place with no light or free oxygen and little heat, and are fundamentally the definition of "primordial ooze." The trapped lake has very high salinity and is rich in iron, which gives the waterfall its red color. 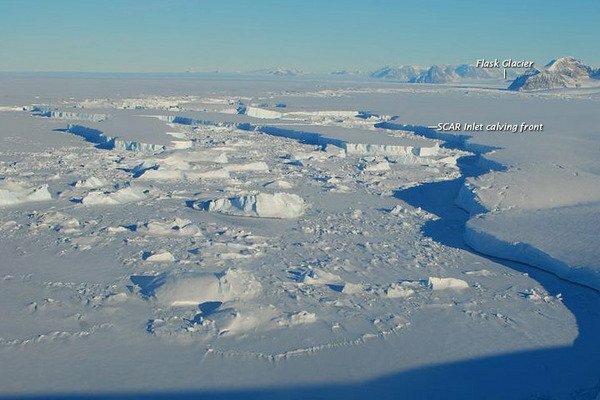 A fissure in the glacier allows the sub glacial lake to flow out, forming the falls without contaminating the ecosystem within. 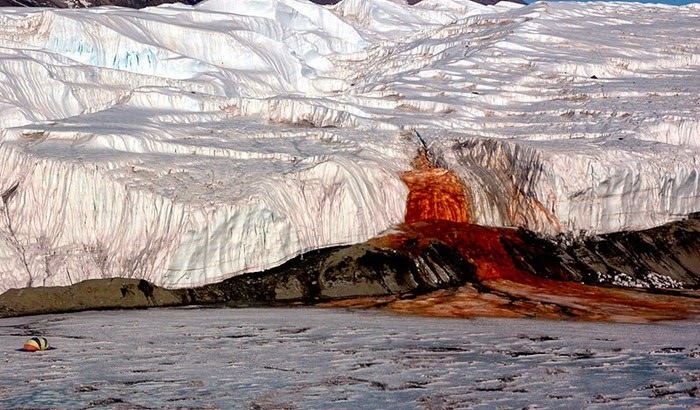 The existence of the Blood Falls ecosystem indicates that life can exist in the most extreme conditions on Earth. 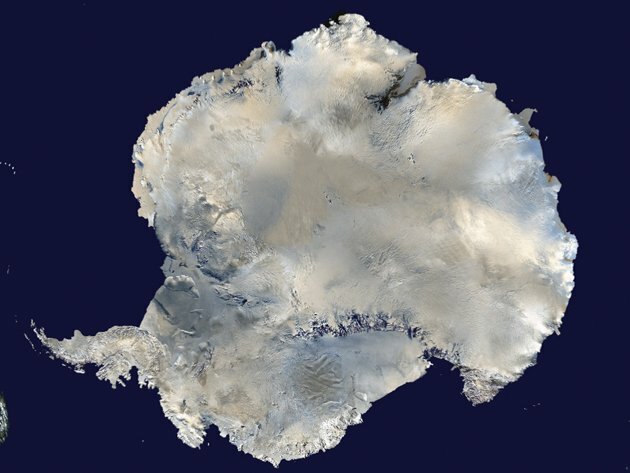 However tempting to make the connection, it does not prove, though, that life could exist on other planets with same environments and related bodies of frozen water particularly Mars and Jupiter's moon Europa as such life would have to arise from a completely different chain of events. Even if it doesn't confirm the existence of extraterrestrial life, Antarctica's Blood Falls is a wonder to behold both visually and scientifically. 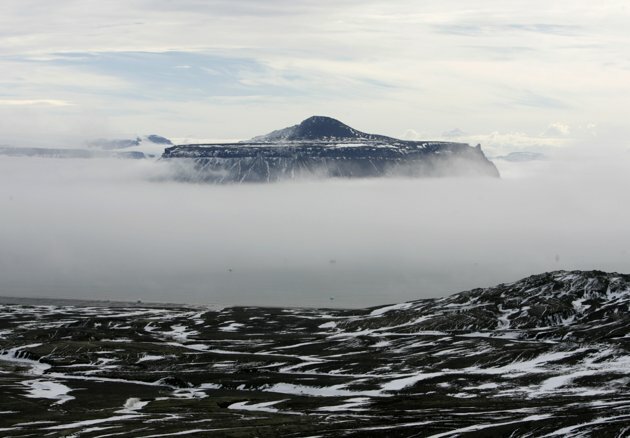 The irregular outflow of reddish fluid let researchers explore the lake without drilling or endangering contamination of the trapped lake itself. 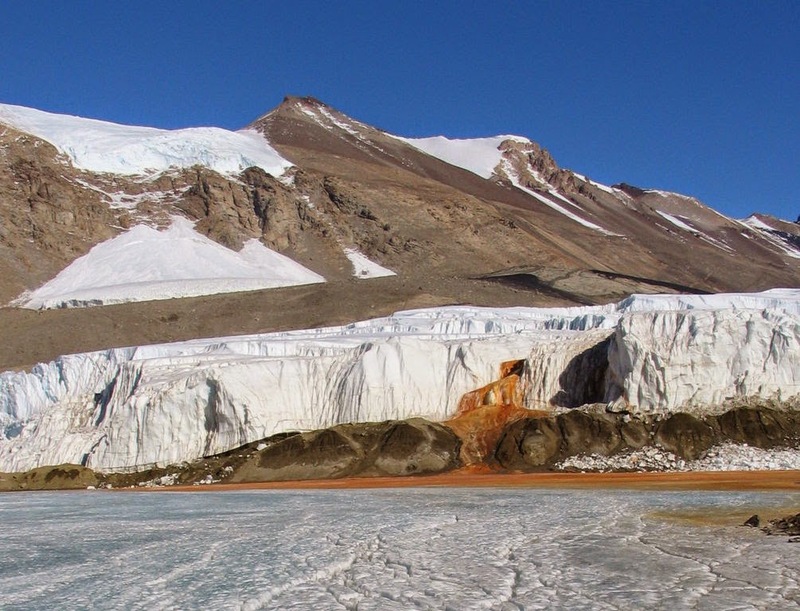 Researchers collected water samples from Blood Falls over a period of six years. A lot of tests exposed that its waters contained almost no oxygen and hosted a community of at least 17 different types of microorganisms. How could they have survived for so long, with no light or oxygen?